The unemployment rate is below 4%. Wages have started to creep up. 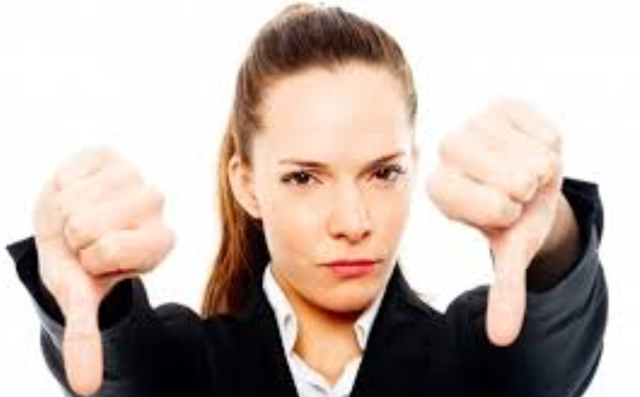 And, according to a recent Harris poll, blue collar job satisfaction is over 80%. Thanks to all who do the work so that I can sit back and enjoy my retirement. Is financial stress making Americans dumber? Connecting some research “dots” suggests that may be the case. A recent Bankrate.com survey says that 40% of respondents or their immediate family ran into a major unexpected expense last year. That’s a problem since most Americans (63%) don’t have enough budget-cushion or savings to cover an unexpected $1,000 expense (think, medical bill, house or car repair). According to the poll, only 37% said they would be able to take the money directly from savings; the rest said they would try to cut expenses (24%), use their credit cards (15%) or borrow money from friends & family (15%). About 1 in 10 had no idea what they’d do. Predictably, those with higher incomes were most likely to say they would be able to tap savings for emergencies or divert some discretionary spending. 75% of people in households making less than $50,000 a year and 2/3s of those making between $50,000 and $100,000 would have difficulty coming up with $1,000 to cover an unexpected bill. Obviously, the threat of a large, unexpected expense is emotionally daunting to most Americans. To make matters worse, there is some evidence that the financial stress may impair “cognitive functioning” – that is, dent a person’s IQ. 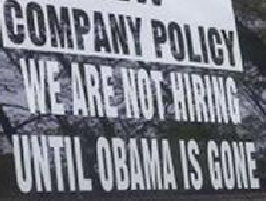 Obama the job creator … say, what? 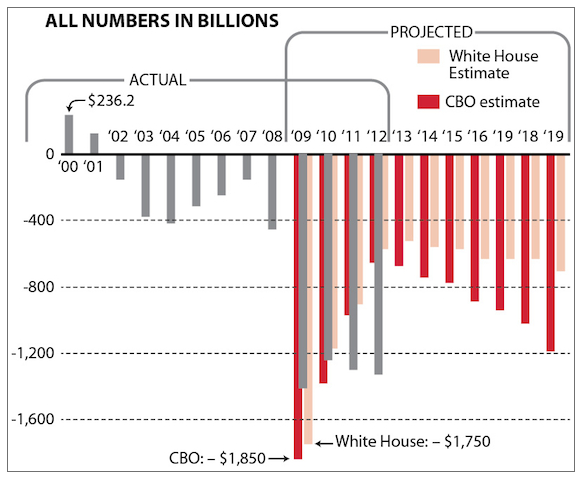 According to his economists, the trillion dollar stimulus program was a bust! Lots of MSM headlines these days about the strong economy that Obama is handing Trump … with a strong suggestion that Trump will have a hard time matching Obama’s stellar performance as a job creator. On the plus side, the reported unemployment rate has dropped from the financial crisis highs. For today, we’ll push aside the facts that (a) American’s who have been economically crushed largely voted the Dems out of office; and (2) the labor force participation rate has dropped precipitously – giving the unemployment rate a faux boost. But, let’s dig a little deeper into the numbers … using the Administration’s own analyses. What do tenured profs & Federal judges have in common? The book Working Scared is focused on the ways that the American workplace has changed in the past 50 or so years … and the implications on American workers (and non-workers). 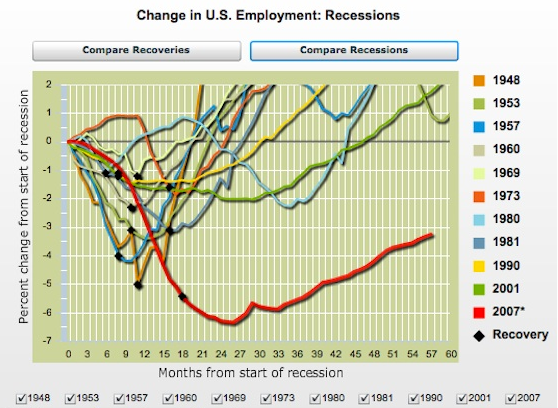 What has happened to workers who lost their jobs during the recession? After last week’s employment numbers, Administration reps emphasized that over 12 million jobs have been added … recovering the number of jobs lost, plus a few to spare. Predictably, conservative pundits countered that that the “mix” of jobs has deteriorated … well-paying full-time jobs have been replaced with lower paying full-time jobs and involuntary part-time jobs … with many of the added jobs going to immigrants – some legal, some not. Coincidentally, I started reading a book titled Working Scared (Or Not at All) … about the plight of the American worker … both old-timers who worked hard and played by the rules and newbies who are graduating with high college debt and disappointing career prospects. The authors cut to the chase by researching the core issue: have the workers who lost their jobs bounced back? Flashback: Over 100 million “hard workers” are now jobless or “working scared”. Trump’s target constituency was identified by 2 liberal academics … who laid out the case, but drew the wrong conclusion. I’ve oft opined that the Washington Post is most biased of the Clinton-supportive print media. Stories of the Post’s 30-person Trump attack team are widespread and not denied by the paper. The article is a thorough investigative story — not an opinion piece. The most recent Census Bureau data … sorts households by income quintile … the highest quintile are “rich” households and the lowest quintile are “poor” households. A fundamental conclusion drawn from the data: if you want to be rich, it helps to have a job and be married to someone who has one, too. What do companies look for in new hires? Since my courses center on problem solving, I’m glad to see that it tops the list. Mike Rowe is the host of “Dirty Jobs” … a series on the Discovery Channel that reports on jobs that many (most?) people wouldn’t touch. He’s not an economist, but he certainly has a perspective on jobs. His: view: “employers are desperate for people willing to learn a “useful skill” and work hard. But, many unskilled unemployeds shun jobs that are “Beneath them” … even if the jobs pay the rent and are stepping stones to better jobs. It’s a great country that liberates them from jobs they might not like, right? Nutshell: Though wages are modest (~$35,000) and the job is dirty, job security is high, benefits are good … including (for gov’t trash guys) a short work day. Interesting tidbit in a Business Week article What’s Wrong With the U.S. Job Market? Punch line: the “cognitive content” of tasks performed by employed college graduates peaked in 2000, has dropped fairly steadily since, and is approach all-time lows. Biz Insider: “Krugman won, austerity lost” … say what? I haven’t been a big Blodget fan since he was run off of Wall Street for hyping internet stocks during their pre-bubble bursting run-up. I think he’s trying to balance the scales these days … leaning far left to – he hopes – increase his odds of getting through the Pealy Gates. The essence of his article is that the only thing wrong with the economy is a lack of adequate aggregate demand. The economic water level will rise to a point that reluctant CEOs will have no choice but to start hiring and building plants to meet demand. That’s not a patently dumb notion … it’s just flat out wrong. Bid & Ask: Are new graduates ready for prime time? Just read an interesting McKinsey study: Education to Employment – Designing a System that Works. Paradoxically, there is a critical skills shortage at the same time. In other words, there are two related global crises: high levels of youth unemployment and a shortage of people with critical job skills. This report focuses on skill development, with special attention to the mechanisms that connect education to employment. The pivotal finding: Employers, education providers, and youth live in parallel universes. “I inherited the deficit” … say, what? … and has hung well over a trillion dollars, way after the Stimulus. Encore: “It is important not to read too much into any one monthly report” … unless the data is good. Because it’s EXACTLY the same thing they say whenever the jobs numbers are bad. Question: Is it ok to read something into, say, 42 jobs reports? What are you going to believe, the facts or our rhetoric? When the Bureau of Labor Statistics announced the nation’s latest national employment last week, the Obama administration stressed that people should not “read too much” into the data. Mitt Romney’s campaign pounced, and flagged the fact that the White House has repeated that same line nearly every month since November 2009. In other words, it’s important not to read too much into the Obama administration’s past 3-1/2 years of performance. Told you so: Companies emerge from recession more productive. First, you can’t let a good crisis go to waste, right? Businesses always use tough economic times to clean house. Fat builds in all organizations over time. In “normal” times, it’s difficult to get rid of dead wood. Employment laws – perhaps well-intended originally –- serve to protect slackers by making it cumbersome and difficult to fire anybody. When the economic tide rolls out, companies have the air cover they need to resize and purge under-performers en masse. The tendency is to cut deep. If some muscle gets pared too, so be it. It can be rehabilitated later. In typical business cycles, employment is a so-called lagging indicator of an economic rebound. That is, when the economy starts to recover, jobs are usually added back very slowly. Because businesses have a renewed zeal for productivity, they recommit to keeping the fat from building up again, and they want to be sure that the signs of better economic times aren’t false positives. Fewer jobs will get added back than history would suggest, and those that get added back will materialize later than past patterns. Businesses will add jobs as a last resort rather than trying to build capacity ahead of the economic growth curve. Overall, the Journal found that S&P 500 companies have become more efficient — and more productive. Such efficiency moves are essential for companies to be competitive. But economists warn that improved efficiency and continued executive caution are slowing the recovery. So said a Georgia small business owner who posted a sign that has gone viral. The bottom line: businesses will resist government policies passive aggressively. Fewer jobs will get added back than history would suggest, and those that get added back will materialize later than past patterns. Businesses will add jobs as a last resort rather than trying to build capacity ahead of the economic growth curve. Why should companies increase their costs and risks any more than is absolutely necessary ? Companies will continue to off-shore jobs, but will be more clever and clandestine about it, e.g. by vertically disintegrating and simply buying goods and services from 3rd parties. Given the Administration’s anti-corporate rhetoric, actions, and proposed game-changing rules, I doubt that many CEOs will be taking on added costs and risks to boost the administration. More likely, they will let unemployment continue to creep up, and will slow roll the process of rehiring. Corporate chieftains will sit back and watch the President squirm and spin his “saved you from a catastrophe” riff . As Rev. Wright would say “the chickens will have come home to roost”. Passively aggressive resistance at its very best. There’s more in the original post. Corporate chieftains will sit back and watch the President squirm and spin his “4 million jobs – saved or created”. At a recent cocktail party, in a lightning strike occurrence, I brushed up to a real, live CEO. He’s a member of the Business Roundtable, so I said “glad to see you guys speaking out on Obama’s policies”. He said “yeah, we figured he’s going to screw us any way, so we might as well speak out”. 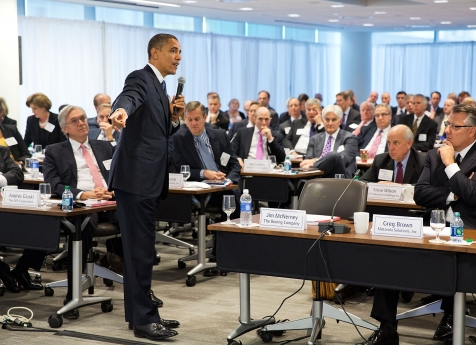 The growing tension between the Obama administration and business is a cause for national concern. The president has lost the confidence of employers, whose worries over taxes and the increased costs of new regulation are holding back investment and growth. The government must appreciate that confidence is an imperative if business is to invest, take risks and put the millions of unemployed back to productive work. One unfortunate pattern that has emerged in the past 18 months is to lay all the blame for our difficulties on the business community and the financial world. This quite ignores the role of Congress in many areas, most glaringly in forcing Fannie Mae, Freddie Mac and the Federal Housing Administration to make loans to people who could not afford them. Then there is the Securities and Exchange Commission, which raised acceptable levels of leverage for financial institutions. The predilection to blame business was manifest in one of President Barack Obama’s recent speeches. This kind of gratuitous and overstated demonization – widely seen in the business community as a resort to economic populism on the part of Mr Obama to shore up the growing weakness in his political standing – is exactly the wrong approach. It ignores his disappointing stimulus program, which was ill-designed to produce the jobs the president promised. It also undermines the confidence that business needs to find if it is to invest in the face of a new generation of regulations, increased bureaucracy and higher taxes. Disillusion has spread to the Business Roundtable, the US Chamber of Commerce and the National Federation of Independent Business, which represents small businesses. Yesterday, we pointed out that taking Obama’s numbers at face value, i.e. the Stimulus “saved or created” 3.5 million jobs … almost $250k was (or will be spent) for each job saved or created. A couple of loyal readers replied that “only half of the Stimulus money has been spent so the cost is only about $125k per job saved or created”. First, $125k is still a lot of money per job. More important, all of the money will eventually be spent and the total claim for jobs saved or created is 3.5 million … so we’re back to the $250k number. Most important, let’s merge the 2 ideas: Romer says 3 million jobs saved or created are in the books … since $425 billion has been spent (1/2 of the total Stimulus) … that means that the spending per job has been just under $150k. But, the next $425 billion will only save or create 500,000 jobs … that works out to about $850,000 per job. It’s called “diminishing returns” … and it illustrates – using Obama’s own numbers – why throwing more stimulus money at the problem is a bad idea. Yesterday, as part of the Recovery Summer Tour, Obama’s CEA Chief Christina Romer cheerfully pitched that the Stimulus worked ever better then they (her and Biden-economist Jared Bernstein) said it would … that 3 million jobs have already been saved or created and another 600,000 will materialize before the end of 2010. It’s easy to quibble since actual employment has fallen by 2.5 million since the Stimulus was enacted … and it’s well-traveled that the same same Ms. Romer said the unemployment rate would rise to 9% without the Stimulus, but would get capped at 8% if the gov’t threw a cool trillion dollars at the problem. Oops. But, HomaFiles aren’t in to cheap shots, so we’ll assume that Ms. Romer has gotten smarter and has crafted a more refined econometric model. And, we’ll assume that she’s an honest person and isn’t just ginning up numbers for political purposes. Let’s do some simple arithmetic. Assuming Romer’s right, then – in the best case — each job saved or created cost almost $250,000 ! I don’t know about you, but that strikes me as a pretty big number. 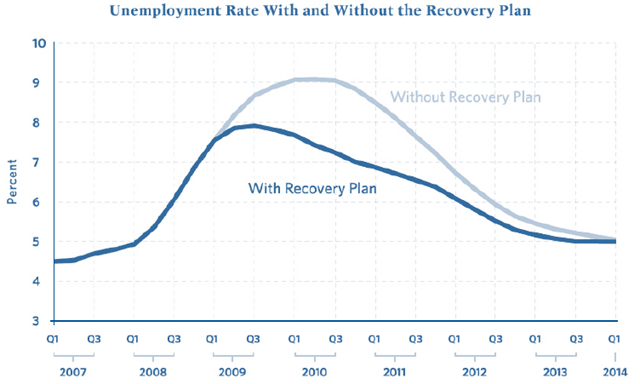 And, keep in mind that the Stimulus just funds jobs temporarily …. when the Stimulus is expended, somebody else has to pick up the tab or the saved and create jobs vanish again. More unionized government employees … here’s the so what. Last week, we posted the increase in the number of government jobs (to over 2 million — not counting contractors) and the increase in unionization of government employees (to over 37% of the government payroll). Here’s why you should care. But union membership is growing by leaps & bounds in the public sector. Last year, 37.4 percent of public sector employees were union members. For the first time in history, a majority of union members are government employees. In my view, the outlook for both private- and public-sector unionism is problematic. Public-sector unionism is a very different animal from private-sector unionism. It is not adversarial but collusive. Public-sector unions strive to elect their management, which in turn can extract money from taxpayers to increase wages and benefits — and can promise pensions that future taxpayers will have to fund. The results are plain to see. States like New York, New Jersey and California, where public-sector unions are strong, now face enormous budget deficits and pension liabilities. In such states, the public sector has become a parasite sucking the life out of the private-sector economy. Not surprisingly, Americans have been steadily migrating out of such states and into states like Texas, where public-sector unions are weak and taxes are much lower. President Obama is … doing his best to increase the power — and dues income — of public-sector unions. Democrats have used the financial crisis to expand the public sector and the public-sector unions. One-third of last year’s $787 billion stimulus package was aid to state and local governments — an obvious attempt to bolster public-sector unions. And it was a successful one: While the private sector has lost 7 million jobs, the number of public-sector jobs has risen. The number of federal government jobs has been increasing by 10,000 a month, and the percentage of federal employees earning over $100,000 has jumped to 19 percent during the recession. Unions contributed something like $400,000,000 to Democrats in the 2008 campaign cycle. Public-sector unionism tends to be a self-perpetuating machine that extracts money from taxpayers and then puts it on a conveyor belt to the Democratic Party. But it may not turn out to be a perpetual-motion machine. Public-sector employees are still heavily outnumbered by those who depend on the private sector for their livelihoods. The next Congress may not be as willing as this one has been to bail out state governments dominated by public-sector unions. Voters may bridle at the higher taxes needed to pay for $100,000-plus pensions for public employees who retire in their 50s. Or they may move, as so many have already done, to states like Texas. More government employees … standing united: 37.4% unionized. Bottom line: Two related articles with a combined chilling effect: Once government gets big (bigger ? ), there’s no turning back … especially if the government employees are unionized. The Federal government will grow to 2.15 million employees this year, topping 2 million for the first time since President Clinton declared that “the era of big government is over”. Most of the increases are on the civilian side, which will grow by 153,000 workers, to 1.43 million people, in fiscal 2010. From 1981 through 2008, the civilian work force remained at about 1.1 million to 1.2 million, with a low of 1.07 million in 1986 and a high of more than 1.2 million in 1993 and in 2008. In 2009, the number jumped to 1.28 million. Unions once saw their main task as negotiating a bigger share of an individual firm’s profits. Now the movement’s main goal is securing a larger share of the overall private economy’s wealth, which means pitting government employees against middle-class taxpayers. It’s now official: In 2009 the number of unionized workers who work for the government surpassed those in the private economy for the first time: 51.4% of America’s 15.4 million union members, or about 7.91 million workers, were employed by the government in 2009. Overall unionism keeps declining, however, with the loss of 771,000 union jobs amid last year’s recession. In 2009 10.1% of private union jobs were eliminated, which was more than twice the 4.4% rate of overall private job losses. Only one in eight workers (12.3%) now belongs to a union, with private union employment hitting a record low of 7.2% of all jobs, down from 7.6% in 2008. In government, by contrast, the union employee share rose to 37.4% from 36.8% the year before. Thomas Sowell — a conservative economist — has a skill for reducing complex issues down to their essence. Bottom line: Government mandates (e.g. added healthcare burdens) and uncertainty are and will continue to keep companies from hiring. What does it take to create a job? It takes wealth to pay someone who is hired, not to mention additional wealth to buy the material that person will use. Government creates no wealth. Government takes wealth from others, whether by taxation, selling bonds or imposing mandates. However it is done, transferring wealth is not creating wealth. When government uses transferred wealth to hire people, it is essentially transferring jobs from the private sector, not adding to the net number of jobs in the economy. Destroying some jobs while creating other jobs does not get you very far, except politically. But politically is what matters to politicians, even if their policies needlessly prolong a recession or depression. In reality, many things that politicians do reduce the number of jobs. During an economic recovery, employers can respond to an increased demand for their companies’ products by hiring more workers– creating more jobs– or they can work their existing employees overtime. Since workers have to be paid time-and-a-half for overtime, it might seem as if it would always be cheaper to hire more workers. But that was before politicians began mandating more benefits per worker. When you get more hours of work from the existing employees, you don’t need to pay for additional mandates, as you would have to when you get more hours of work by hiring new people. For many employers, that makes it cheaper to pay for overtime. The data show that overtime hours have been increasing in the economy while more people have been laid off. Constant government experiments with new bright ideas is another common feature of Obama’s “change”. The uncertainty that this unpredictable experimentation generates makes employers reluctant to hire. How many Americans does it take to make nine pairs of work boots? And, “they” want another $1 trillion to whack the healthcare system. According to the White House’s recovery.gov site, an $890 shoe order for the Army Corps of Engineers, courtesy of the stimulus package, created nine new jobs at Moore’s Shoes & Services in Campbellsville, Kentucky. The job-for-a-boot plan may not be American productivity at its best. But such stories go a ways toward explaining how the Administration has come up with 640,329 jobs “created/saved” by the American Recovery Act as of October 30. Head Start in Augusta, Georgia claimed 317 jobs were created by a $790,000 grant. In reality, the money went toward a one-off pay hike for 317 employees. One Alabama housing authority claimed that a $540,071 grant would create 7,280 jobs … only 14 were created. In some cases, Recovery Act funds went to nonexistent Congressional districts, such as the 26th in Louisiana or the 12th in Virginia. Up to $6.4 billion went to imaginary places in America. That’s a confidence builder, isn’t it?